Erdle Perforating is a major manufacturer of standard perforated sheets. They are available in numerous combinations of hole sizes and patterns. The standard sheet sizes are 3′ by 8′, 3′ by 10′, 4’x8′ and 4′ by 10′. In addition, almost any nonstandard sheet size can be provided to your exact requirements. 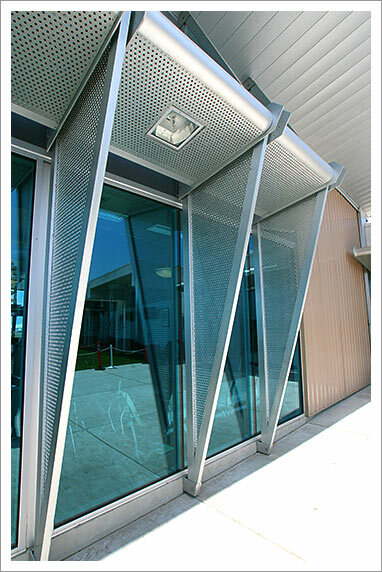 Perforated sheets made to Erdle standards meet or exceed the Industrial Perforators Association industry standards. If your product requires tighter tolerances, be sure to specify when requesting a quotation, or placing an order. The same variety of hole sizes and patterns is available in coil form to whatever width is needed, Currently up to 60″ wide. Simply specify whatever length is needed in total linear feet. Industry standards apply, unless otherwise specified. Mostperforated coil orders have product-specific requirements. Erdle Perforating will produce your coils to your exact requirements. Almost anything else (besides coil and sheets) is manufactured to unique customer specifications. Erdle Perforating takes pride in engineering perforated products to fit your particular needs. Such engineered productstypically have side margins, open or finished end patterns or multiple patterns. Often locating pin holes are also added for slit coil products. Panels usually have extra mounting holes or corner notches. These are designed into the product when it is made. Erdle Perforating has the technical and engineering support personnel to help you get the kind of perforated product that you need. Engineering drawings or sketchings can be accepted in any form via the Internet, fax or mail. If you don’t have a drawing, tell us about it and we’ll make one for you. Erdle Perforating has value added capability to complete and deliver your product, packaged the way you like it. After perforating, we fabricate and finish to exact specifications. The variety of perforated products we manufacture is virtually endless. Erdle Perforating is the only perforating company in North America with both plants registered to ISO 9001:2008 standards.